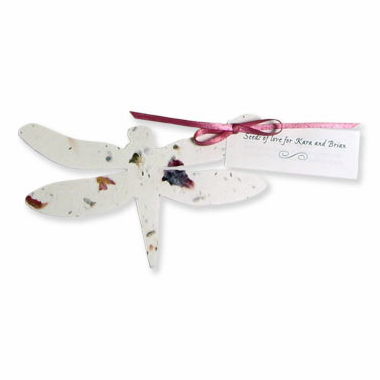 Give your guests wildflowers this spring with this handmade paper dragonfly made using “plantable paper.” This plantable paper has wildflower seeds embedded into it. 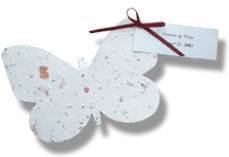 There is a tag attached to this lovely party favor personalized with couple's names and date or any other type of information, and tied with a satin ribbon. There are also instructions for planting the dragonfly and growing wildflowers. 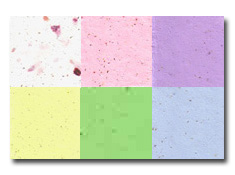 The latest trend is to mix and match favors with a similar theme at each table. 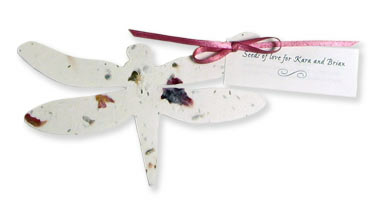 If you have a garden, spring, or floral theme you may wish to alternate the plantable dragonfly favor with the plantable butterfly shown above. Each dragonfly measures 5" x 3 1/2".